Long or short? I’m just kidding, this is actually of a lot more interest to anime fans, as Manga Entertainment are giving the opportunity to have a say in what sleeve goes on second part of the fantastic Steins;Gate. Click on the link to head on over and choose from one of three options. Reading the fine print is also illuminating on just how much control the Japanese licensors hold over their IP. The three options presented have to be approved by them, and even if one wins the fan vote, it is entirely possible that the Japanese licensor will nix it anyway. There was another gathering of the anime cognoscenti this weekend, and once again I was too busy reviewing to attend. Notable attendees were MVM and Manga Entertainment, although only Manga Entertainment held a panel. But MVM got their announcement out on the way there, tweeting that this October will see the UK Blu-ray debut of the cult classic FLCL, or Furi Kuri, or Fooly Cooly, depending on how the mood takes you. I’ll be calling it Blu-ly Cooly, or Fooly Blu-ly for its HD entrance. Manga had just a handful of new licenses to announce, with Karneval, The Sengoku Basara Last Party movie, and the Fairy Tail movie new on their books. Otherwise it was setting some dates down for existing licences, with Black Lagoon: Roberta’s Blood Trail from Kazé on November 4th, Fairy Tail Part 5 on December 2nd, K-On! The Movie on October 28th (with BD as combo release), Guilty Crown Part 1 on 18th November, and Eureka Seven AO, One Piece Part 5, and Blood C The Last Dark set for Q1 2014. It turns out that Steins;Gate Part 1 is my first review of the week. I wonder what the roaming charges are to text a phone in another time period. No one ever asks these questions. In case you’ve been sitting under a rock, Steins;Gate is the sci-fi anime phenomenon of the last few years, mixing up pop-culture and otaku references with a fiendishly compelling story, and some utterly unique characters. It is one of the best anime in recent years, and I got to look at the Blu-ray. Another best anime of recent years is Kids on the Slope, and Stuart McLean fell in love with the DVDs. No seriously, he’s gone all Charlton Heston and NRA about the discs. He won’t let them go. Can you blame him? You have a perfectly judged period coming of age drama, with music to die for. It’s the sort of show that makes the soul soar, an exemplar of the medium, the weapon you wield when someone attacks you with a Daily Mail anime cliché about foreign cartoons poisoning our yoof. To round the week off, there was Nightwalker, which goes and lets the side down a bit. 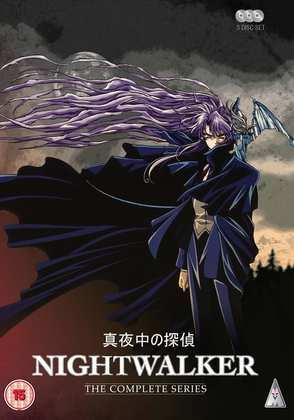 It’s a show about a vampire detective made in the late nineties, and it doesn’t inspire the same paroxysms of praise that the first two shows do. It’s a fairly run of the mill horror of the period, with its good points outweighed by its bad points. Fortunately all of the good points are bunched together on one disc. Click on the review to see what I mean. 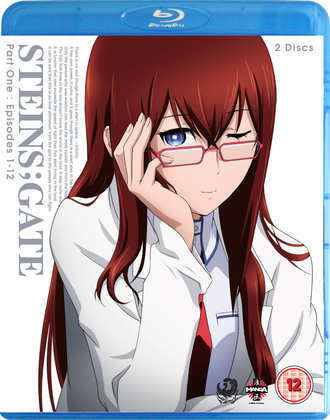 Steins;Gate was released by Manga Entertainment on Blu-ray and DVD last Monday. 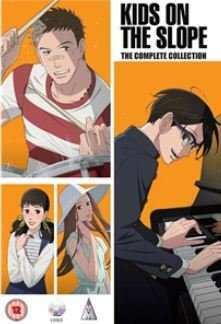 Kids on the Slope was released on Blu-ray and DVD by MVM in the last week of June, while MVM release Nightwalker the Complete Series today on DVD.